There’s been a lot of talk about local adventuring in the news lately, and it makes a lot of sense. There’s even a new buzzword — “the 5-9er” — to describe people who do something adventurous between work hours and then show up at their desk like it’s #nbd. New York City isn’t an easy place to find what I’d call traditional adventure. 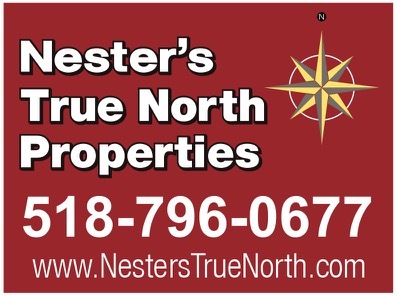 It probably has something to do with the 500 square miles of concentrated development that surround us. It’s a significant amount of effort to get from the city to the majestic peaks of the Adirondacks, or the quaint and charming Catskills. But there’s more right here than most people would expect, for riders, paddlers and even climbers. You can test your boundaries in the city. 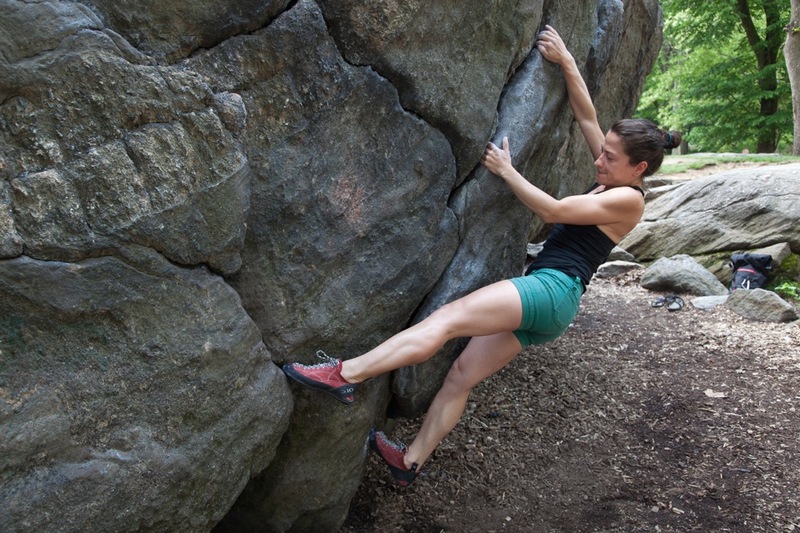 In 2013, my friend Gaz Leah published a climbing guide to NYC Bouldering, and I’ve become addicted to pushing the urban envelope ever since. 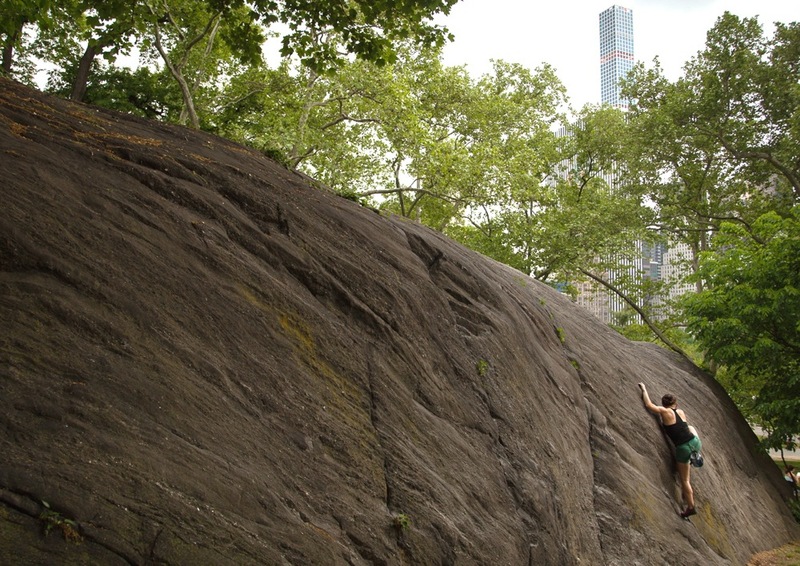 With a bit a applied imagination, Central Park is home to scenic vistas that can evoke an alpine zone, where from the perch of a meadow you can look up at a towering hanging glacier or skyscraper. The social scene is a least as good as the Alps, too. Most people speak English and are willing to offer beta or a spotter. It seems like every time I head out, I leave the park with another number of a new friend who wants to get after it. Tourists share their culture too. In between bits of German, a rugged middle-aged climber stopped us to ask if he could try our route, and then proceeded to get the First Ascent in sneakers on the Flake Route at Rat Rock. No easy feat when the rock itself was practically sweating from the 90-degree temps. We stayed in the shade, and if there was a true emergency we had access to several Starbucks and Duane Reade’s within a mile. That certainly limits the need for a helicopter, in case of emergency. I’ll admit, after the climbing, the most adventurous part of my day was biking with a backpack full of climbing provisions to the park. 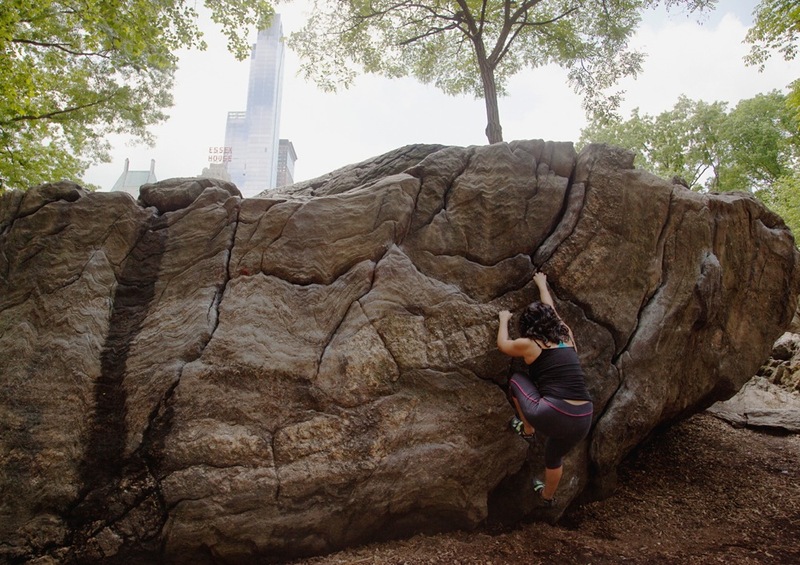 It’s tough to think of a better way to spend a spring day than listening to the drums in the park, hanging with good people, and sending some tough routes. Even the VOs are notoriously difficult. 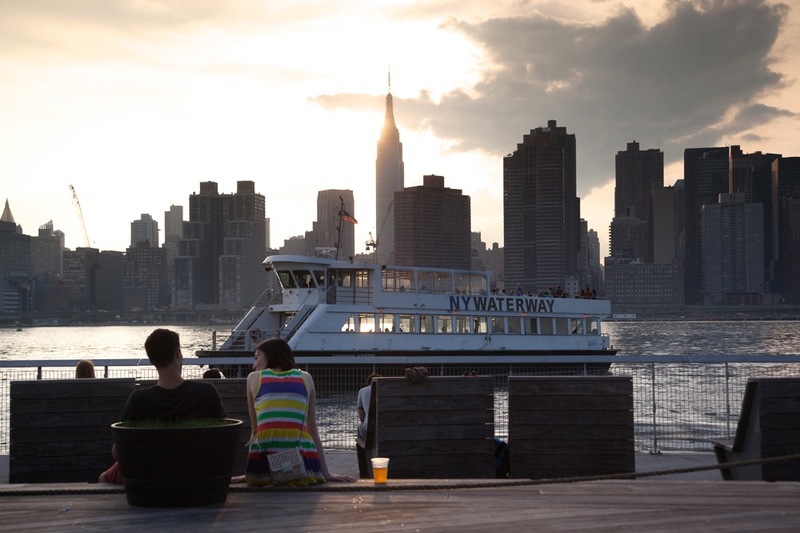 Peddling back to the Queens waterfront for a beer to reflect upon the experience, I realized I wouldn’t have it any other way. Gaz, thanks for introducing me to this ridiculous sport. 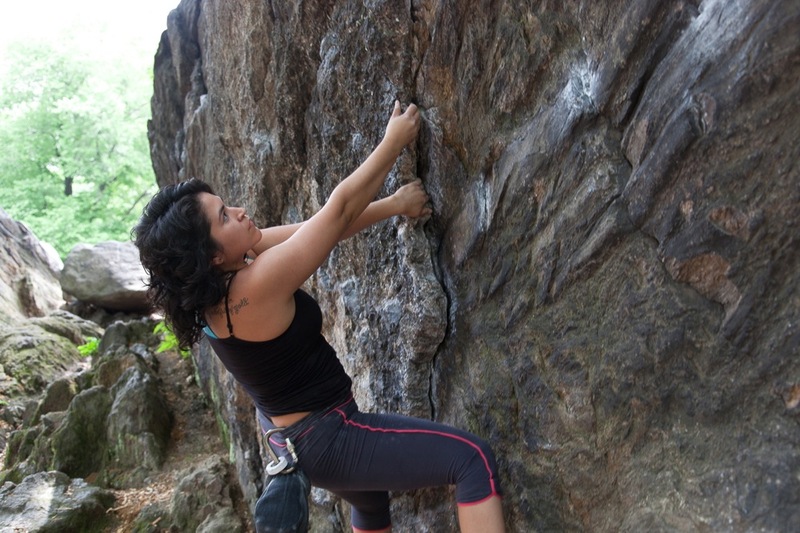 Central Park bouldering is another great way to be a conquistador of the season between the snows. Nice! Rat Rock! When I lived in NYC I gave that a try. Cool write up.